American Efficient partners with manufacturers, retailers, contractors, developers, installers, electric utilities and grid operators to develop and manage portfolios of energy efficiency resources. American Efficient takes the raw capabilities of energy installations and determines how they can be most valuable to the electric system. American Efficient acts as a bridge between manufacturers, retailers, installers, and owners of energy efficiency resources and the utilities and markets that can use those resources to meet America’s energy needs. American Efficient works with partners in over 30 states to bring energy efficiency resources to market, helping to reduce carbon emissions and electricity costs. There are numerous products that can be installed in a home or business that use less energy than the technology they replace. An increasing percentage are also “connected,” giving these devices and their owners the ability to react to real-time demand for energy. Below are some indicative technologies. Most of these product installations have a value to grid operators - meaning they may be eligible for American Efficient incentive programs. Residences, while not the predominant building type in the US by total square footage, contain many, fairly easy-to-implement opportunities to add value to the grid through efficiency and demand response. Insulation, weather-stripping and efficient glazing all contribute to reducing heating/cooling load. Significant impacts can be gained from replacing incandescent lighting with high efficiency lamps and fixtures utilizing CFLs, LEDs etc. Commercial building energy consumption by source varies much more than in residential buildings, based on geography, size and use. Next to lighting, the quickest return on investment in commercial buildings. Significant impacts can be gained from not only replacing older fluorescent ballasts with high efficiency LED fixtures but also by utilizing occupancy and ambient light sensors as well as de-lamping and providing task lighting. Many more options exist for business to utilize both on and offsite renewables to decrease the price paid for total energy consumption, including hosting third-party-owned rooftop solar. The primary source of load in commercial buildings, includes ventilation, dehumidification and often re-heat of chilled air. Not only contribute plug load but also cooling load. American Efficient has built a best-in-class model for accelerating the adoption of energy efficient technologies. American Efficient can work with more types of energy efficiency installations, in more places, and with less friction than other financing partners. American Efficient works with partners to incentivize millions of installations across the country. First, our team will help you look through your firm's energy efficiency installations and identify which ones are eligible. American Efficient will also determine the value of each installation. Second, based on our geographic footprint and yours, we will co-develop an approved territory where installations will be eligible to receive American Efficient financing. Third, Launch your new program and start enrolling installations! We address a wide a range of products in a large geographic territory. Our programs are running in more than 11,000 locations in 30 states, making millions of distributed energy resources available to the electric system. "Since 1990, energy efficiency has become the third-largest electricity resource in the United States; without it, we would need the equivalent of 313 additional large power plants to meet the country’s energy needs. If savings from appliance standards, utility programs, and building codes reached their full potential, efficiency would become our nation’s largest electricity resource by 2030"
With technologies we have today, we could profitably reduce overall energy consumption by more than 10% overall and peak demand by more than 20% overall. US and Canadian programs report gross savings of nearly 29,590 GWh of electricity and nearly 496 million therms of gas in 2015, resulting in an aggregate 23.4 million metric tons of avoided CO2 emissions. US and Canadian administrators reported that demand response programs reduced capacity by 34,950 MW, with programs in the west (47 percent) and south (41 percent) accounting for the majority. American Efficient is passionate about using our expertise in bringing distributed energy innovations to market to serve consumers and the public. Yousef AbuGharbieh is a Director at American Efficient where he is responsible for operational improvement, strategy, and M&A. He is also a Director at Modern Energy, an energy asset management firm. 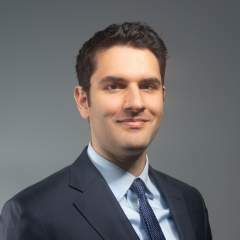 Prior to joining American Efficient, Yousef was an Engagement Manager at McKinsey & Company where he served software and hardware companies on corporate finance and strategy issues. Before McKinsey, he was an adviser and employee at several SaaS start-ups and analyst at multiple growth equity and venture capital firms. 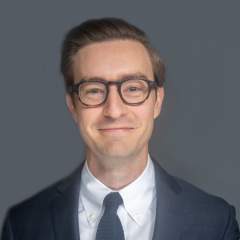 He graduated from Yale Law School and the Yale School of Management with a JD/MBA where he was a fellow at the Yale Institute for Social and Policy Studies and Notes Editor at the Yale Journal on Regulation, the nation’s top-ranked administrative and corporate law journal. He also holds a BA from Duke University where he was a Robertson Scholar. 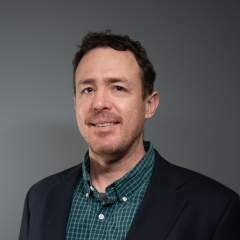 Daniel joined American Efficient when the company acquired PlotWatt, where he was VP of Analytics. 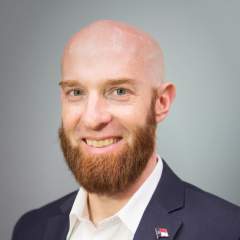 Prior to PlotWatt, Daniel managed the University of North Carolina at Chapel Hill’s Climate Action Program, working to make the campus climate-neutral by 2050. He holds a PhD from UNC Chapel Hill and a BS from the University of Kentucky. In his spare time, Daniel likes to get his hands dirty in his permaculture garden in Hillsborough, where he lives with his wife and two sons. Before joining American Efficient, he helped Volta Charging establish their engineering program to promote nationwide free electric vehicle charging. He also helped the Rare Cancer Research Foundation maintain and improve their patient consent portal, Pattern.org. Adam was the mascot at the University of Arizona and attended Hack Reactor for engineering. He lives in Oregon with his wife and little boy; in his free time, he is a search and rescue volunteer. Sterling Bowen is the Director of EE Programs at American Efficient, where he originates and manages incentive programs for efficient consumer products. Sterling Bowen is the Director of EE Programs at American Efficient, where he originates and manages incentive programs for efficient consumer products. Prior to his role with AE, Sterling worked in the solar sector in an EPC-sales capacity. Over almost a decade he was involved in implementing distributed energy projects throughout the mid-Atlantic for utilities, federal agencies, and commercial businesses. Sterling also spent time in the public sector with the North Carolina Energy Office, where he managed internal and external communications. Sterling attended UNCC as a Cameron Scholar, where he graduated with Interdisciplinary Honors. He is a father of two who lives in Raleigh with his wife, Jessica, where he enjoys kendo, ACC basketball and the thriving food culture of the Triangle. Eric Butter is the Senior Director of Technology, managing the technology and risk infrastructure for American Efficient. He was formerly a risk analyst and Head of Technology for Tenor Capital, a New York based investment adviser. 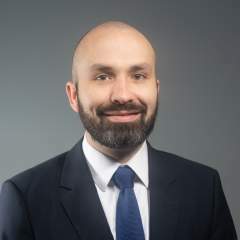 Eric Butter is an affiliate and former member of the Managed Funds Association Technology Committee, a member of the Alternative Investment Technology Executives Club, a former Startingbloc Institute Fellow, and a trainee of the Center for Creative Leadership. He is a graduate of the University of North Carolina at Chapel Hill, where he was a Robertson Scholar. Eric enjoys fixing up his house with his wife and riding his motorcycle. Bo Clayton is head of Sales and Marketing for American Efficient, where he oversees portfolio marketing and structured finance functions. Bo also serves as Partner of Modern Energy, a holding company with businesses focused on energy efficiency, distributed generation, demand response, and energy storage. Prior to joining American Efficient, Bo held various marketing, origination, and finance roles at Citigroup, Credit Suisse, and JPMorgan, where he provided strategic planning, risk management, and liquidity services to the firms’ clients in the power sector. He holds an MBA from The Wharton School at the University of Pennsylvania and an AB in economics from Harvard College, where he played varsity soccer. Bo lives in Durham with his wife, two sons, and two dogs. 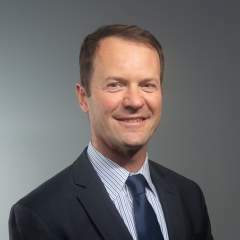 Pete Curtice is Head of Origination for American Efficient, where he is responsible for partnerships, products and program management. Prior to joining American Efficient, Pete held various leadership roles at SAS Institute and Opower, where he led energy efficiency and demand response sales for Investor Owned Utilities. He is the past Chair of the Board for the Southeast Energy Efficiency Alliance and has served on the boards for the Special Olympics North Carolina and Urban Ministries of Wake County. 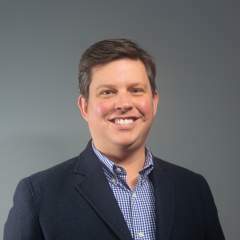 Pete holds an MBA from the Fuqua School at Duke University and BS from the University of North Carolina at Chapel Hill. He lives in Raleigh with his partner Maria and his three kids – Jack, Noah and Barrett. 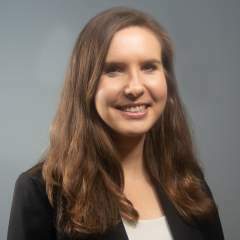 Tayler Dalpe is the Senior Director of Finance at American Efficient where she is responsible for implementing and maintaining comprehensive financial and accounting policies, practices, and procedures. She began her career in public accounting at KPMG in Los Angeles and, as a finance executive and CPA, brings over 25 years of experience from companies ranging in size from start-ups to multi-million dollar organizations. Tayler is an active member in Entrepreneurs Organization (EO), serves on the Boards of EO and St. Jude Media Ministry, and successfully lead one of two initiatives that were instrumental in the Town of Holly Springs (NC) receiving its Certified Entrepreneurial Community designation. Tayler and her husband John met through competitive ballroom dancing and have been married for over 20 years. 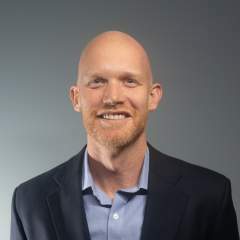 Luke Fishback is the Founder of PlotWatt Holdings, an American Efficient company, and is focused on transforming smart meter data into useful insights for electricity consumers and the grid alike. He has worked in energy analytics since 2007. Prior to the recent acquisition by American Efficient, Luke served as CEO of PlotWatt. 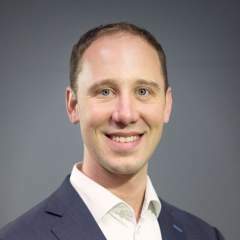 Under his leadership, PlotWatt developed the first hardware agnostic Non-Intrusive Load Monitoring algorithms in the world and grew to be the leading provider of energy analytics for several of the largest multi-location enterprises in the United States. Luke is a graduate of Dartmouth College with two undergraduate degrees in engineering and a masters in engineering management. Prior to starting PlotWatt, Luke was an aerospace engineer at Lockheed Martin Space Systems, where he held leadership roles on a number of classified and unclassified programs, mostly associated with things that leave the earth’s atmosphere. 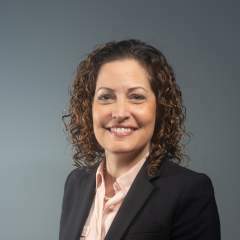 Angela Fox is the Senior Director of Market Operations at American Efficient. Previously, Angela worked in business development and diversification for an international non-profit and in operations for a defense consulting firm. She graduated from Duke University with distinction and now lives in Durham with her husband and son. 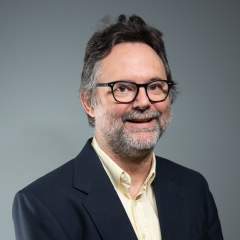 Mark Laabs serves as Chief Executive Officer of American Efficient where he is responsible for setting the organization’s vision and strategy. Mark’s work is grounded in a conviction that outsized environmental impact and outsized financial returns can go hand in hand, and he brings that ethos to American Efficient. Mark also serves as a Managing Director of Modern Energy, an energy asset management firm; Chairman of Faro Energy, a Latin American solar finance company; and Chairman of the Rare Cancer Research Foundation, a non-profit dedicated to accelerating innovation in cancer research. 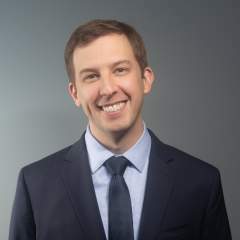 Mark previously worked at Soligent, Climate Bridge, and McKinsey & Co and graduated as a Robertson Scholar from the University of North Carolina at Chapel Hill and Duke University. Mark currently lives in Durham and enjoys exploring the Bull City while also stretching his legs by traveling abroad. Samantha is a Senior Accountant and is responsible for general accounting, reporting and audit support. 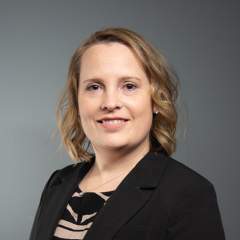 Prior to joining American Efficient, Samantha has a BA in Accounting from Metropolitan State University of Denver and worked for eight years at NGL Energy Partners, a midstream energy company in Denver. 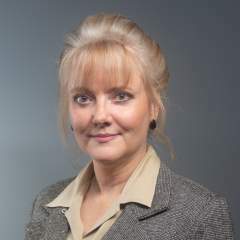 She is experienced with revenue recognition, intercompany and general ledger accounting. Samantha is an avid traveler and recently moved to North Carolina with her dog who enjoys hiking and trips to the beach. Kara Mountcastle is a Program Manager at American Efficient. She also serves on the board of the Mary Reynolds Babcock Foundation. 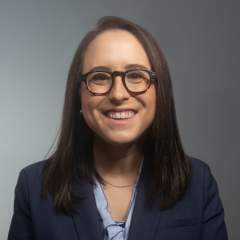 Prior to joining American Efficient, she worked in project management at a financial services consulting firm, and as a field organizer during the 2016 election. Kara graduated with honors from Davidson College, and equally splits her basketball allegiance between the Wildcats and UNC Tar Heels. David Mulcahy is a Power System Modeler, developing mathematical models of energy markets and providing insights into current and future grid operation. David is currently a Ph.D. candidate at North Carolina State University researching electrical engineering and economics. Previously, David was energy system modeler for the National Renewable Energy Laboratory where he analyzed biofuel supply chains and U.S. electric sector capacity expansion. He has held various roles across the energy sector from solar installer at a start-up to research at ERCOT and ISO New England. He attended the University of North Carolina at Chapel Hill and Duke University as a Robertson Scholar. David lives in Raleigh and enjoys rock climbing, whitewater kayaking, and playing soccer in his spare time. 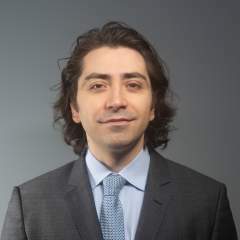 Mr. Nikolic is a Director at American Efficient focused on portfolio marketing and risk management. 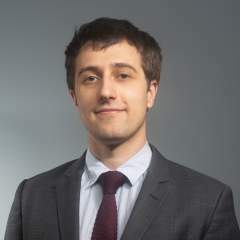 Prior to joining American Efficient, he was a Senior Investment Associate at Cambridge Associates, where he advised nonprofit institutions (foundations and endowments), pension funds, and private wealth clients on investment portfolio construction across all asset classes, investment manager due diligence and selection, and other investment-related activities. Prior to his tenure at Cambridge Associates, he was a Sales and Trading Analyst for Citigroup Inc., where he held roles in credit research, institutional equity sales, and corporate and institutional foreign exchange sales. He graduated from Duke University as a Robertson Scholar. April Smith is Director of Finance. Prior to joining American Efficient, April worked in Accounting for Chesapeake Energy, a large american petroleum and natural gas exploration company for 20 years. She is experienced in financial operations, compliance and managing processes in scale up organizations. April is a recent transplant to North Carolina and lives in Raleigh with her husband and son and enjoys spending time outdoors either hiking or unwinding at the beach. 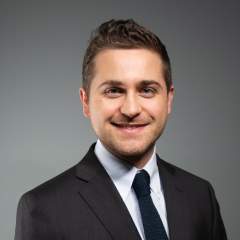 David Storelli is a Senior Research Analyst at American Efficient, where he supports the development of new and existing programs. He is also currently working with Modern Energy to develop energy access solutions in conjunction with the IEEE Empower a Billion Lives competition. David has a BS in Electrical Engineering from North Carolina State University, where he was an Undergraduate Research Scholar at the FREEDM Systems Center. He is enjoying living in Durham, and spends most weekends playing music of some kind. 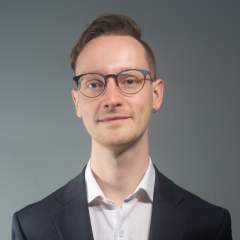 Nathan Taubitz is a Senior Software Developer at PlotWatt where he is responsible for the design of, full stack development on and maintenance of PlotWatt's digital properties. Nate has been developing software professionally for over 20 years with extensive experience in venture backed startups. Prior engagements include consulting, technical/team lead and architectural roles with local colleges, small businesses, ABB, ChannelAdvisor, iContact/Vocus, and ReverbNation. Nate has worked remotely for the past 9 years balancing work and family life with his wife and partner Molly and their 5 children. Jeff develops software applications for American Efficient. Jeff’s previous development experience includes networking software for mainframes, open source web infrastructure, and web applications, as an employee of large companies such as IBM, Sun, and Oracle, and as a consultant for smaller organizations. 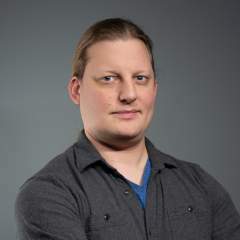 Jeff is a member of the Apache Software Foundation. He received a Master of Science in Computer Science from the University of Alabama. He and his wife live in Raleigh. Luke is a Research Engineer, where he is responsible for building custom data systems and software for the analysis of energy and market data. Before American Efficient, Luke was a consultant, with over a decade of experience in systems architecture and software design in both the private and public sector. He has written three books on the Clojure programming language, and has been a speaker at numerous software development conferences around the world. He is a graduate of the College of William and Mary. © 2019 AmericanEfficient. All Rights Reserved.